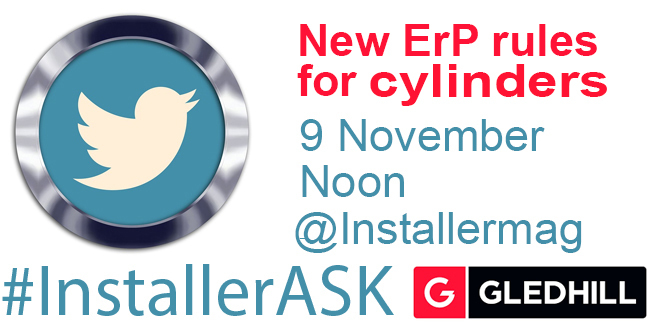 Join us on Thursday 9th November at noon for a live #InstallerASK Q&A with Gledhill (@GledhillGroup) about changes to ErP legislation for cylinders. The new rules came into force in September, so get your questions in to make sure you’re on top of them. Do you have a question about the new legislation? Tweet us now @installermag or join us on Friday and have your questions answered by the experts.